Set Photo. . Wallpaper and background images in the The Vampire Diaries TV Show club tagged: the vampire diaries season 1 episode 10 1x10. 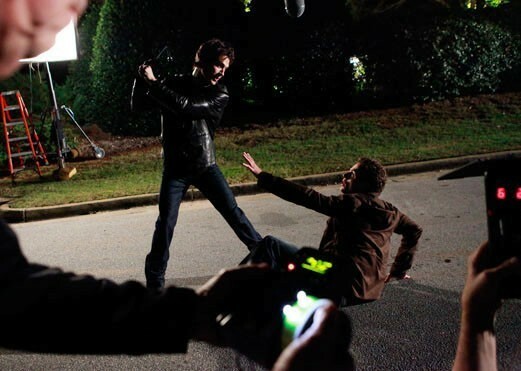 This The Vampire Diaries TV Show photo contains street, city scene, and urban setting. There might also be wicket, green beret, special forces, elite soldier, and carriageway.